2018: Pallas Foods, Artisan Supplier of the Year 2018. 2018: Bronze for Beech Smoked at the Melton Mowbray Artisan Cheese Awards. 2018: Bronze for our Original at the Melton Mowbray Artisan Cheese Awards. 2016: Gold for the Beech Smoked at the Listowel Food Festival in Kerry. 2015: Silver for Beech Smoked Cheese at International Cheese Awards. 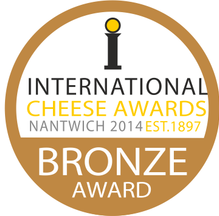 2014: Bronze in the International Cheese Awards for the Beech Smoked Cheese in the Smoked Category. 2013: Bronze in the International Cheese Awards for the Beech Smoked Cheese in the Smoked Category. 2013: Won silver in Best Irish Cheese category in the International Cheese Awards for Original Cheese. 2010: Bronze in Irish Cheese Awards for smoked cheese. 2010: Bronze in World Cheese Awards for smoked cheese. 2009: Gold in Smoked Cheese category in the World Cheese Awards. 2008: Gold in Semi-Soft Smoked category with Carrigaline smoked in the British Cheese Awards. 2008: Bronze in Natural Cheese in the British Cheese Awards. 2008: Silver for Low Fat Cheese in the British Cheese Awards. 2008: Gold for Smoked Cheese in the British Cheese Awards. ﻿2008﻿: Gold in Smoked Cheese in the British Cheese Awards. 2007: Bronze for Reduced Fat in the British Cheese Awards. 2006: Bronze for Reduced Fat Cheese int he British Cheese Awards. 2003: Gold for Low Fat Cheese in the British Cheese Awards.